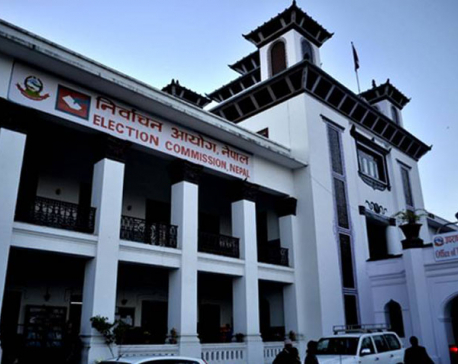 KATHMANDU, July 23: A team of experts has recommended the Election Commission (EC) to use electronic voting machines (EVMs) produced by Indian firms, saying that the machines are suitable in the context of Nepal. After visiting two Indian firms - Bharat Electronic Limited, Banglore and Electronic Corporation of India, Hyderabad - the team has submitted a report to the EC's secretariat suggesting that the Indian machines can be used in the upcoming elections. "We have submitted the report to the secretariat. Our conclusion is that it is possible to use Indian machines, they are compatible for us too," said EC's IT chief Laxmi Prasad Yadav, who led four-member study team. "It is up to the election body to select companies and purchasing modality," said Yadav. The four-member study team was sent to India to study feasibility of Indian electronic voting machines for the upcoming provincial and parliamentary elections. The EC wants to digitize voting after reaching a conclusion that using machines will help reduce election cost and conduct the election in an effective manner. During the visit, Indian firms had assured of accommodating all the political parties of Nepal and there would be no technical glitches. The EC had first used Indian EVMs in Kathmandu's constituency 1 during the 2008 election. The result wasn't challenged by any one. The Indian government had provided 1,200 EVMs to help Nepal in digitizing the election process. In the second CA elections in 2013, the EC was unable to use the Indian EVMs as these machines were unable to accommodate large number of political parties contesting in the elections. At that time, Indian-manufactured EVMs could accommodate only up to 64 parties at the most while altogether 122 political parties were registered with the EC. Informed sources at the EC said the recently modified Indian machines can accommodate up to 128 political parties, so they can be used in Nepal. Unlike during the previous elections, the number of Nepal's political parties is likely to decrease significantly as the election law has introduced threshold provision for the parties to get national status. 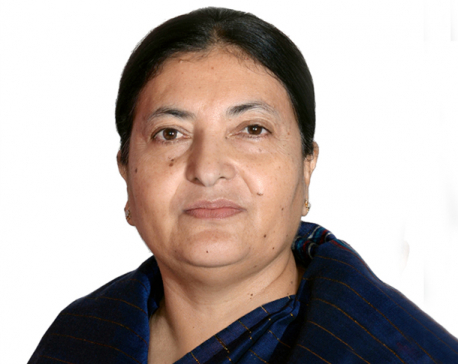 KATHMANDU, Oct 14: Election Commission (EC) officials Saturday called on President Bidya Devi Bhandari at the Rastrapati Bhawan, Shital Niwas.